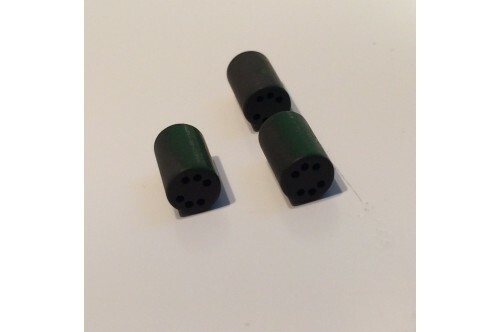 These are small size ferrite beads with 6 holes, used for making small RF transformers and baluns. Composition of the ferrite is unknown but probably 43 mix. 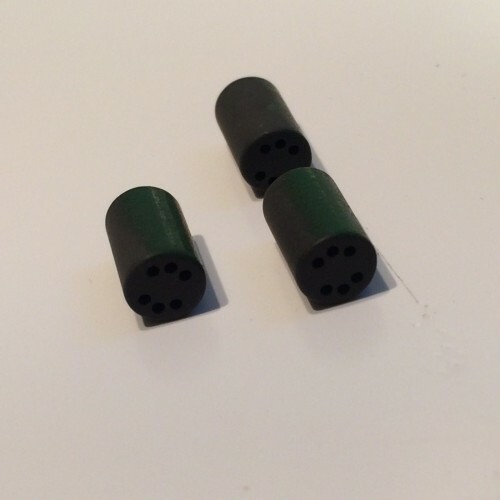 Dimensions are roughly 10mm long and 6mm diameter.